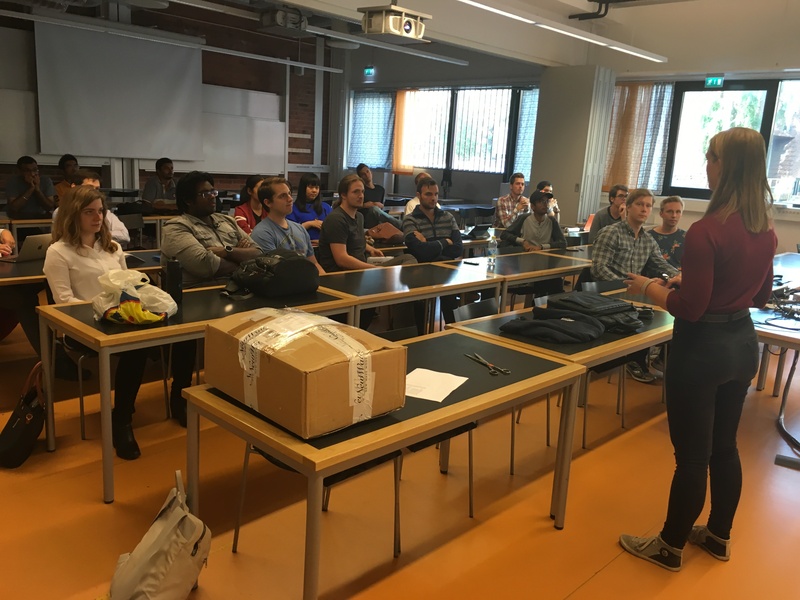 On September 1 the fourth student team kicked off their work. MIST project team nr 4 meets on 1 September. Project teaching assistant Agnes Gårdebäck tells about some management routines. “Icebreaker”. Studnets get to know each other by writing unexpected fact about themselves on a piece of paper. Another student tries to locate who wrote that paper. Everybody gets a piece of paper with text on – of course. First attempt at a group photo on 8 September 2016. Hard to get everyone in a group of 19 to be present at any given moment!